Figure 1: Cut thought the chamber. Figure 2: Cross-section of the wall. 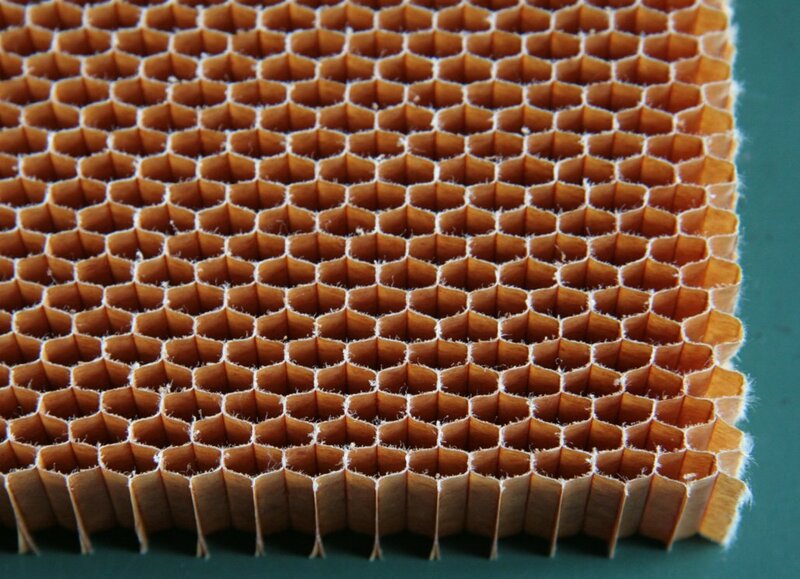 Figure 3: Sample piece of an aramid honeycomb spacer. Figure 4: Sample piece of composite wall based on aramid honeycomb. 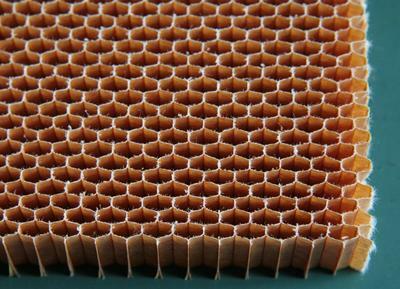 Aramid honeycomb material samples: the composite walls of the LP use aramid honeycomb as spacer material. 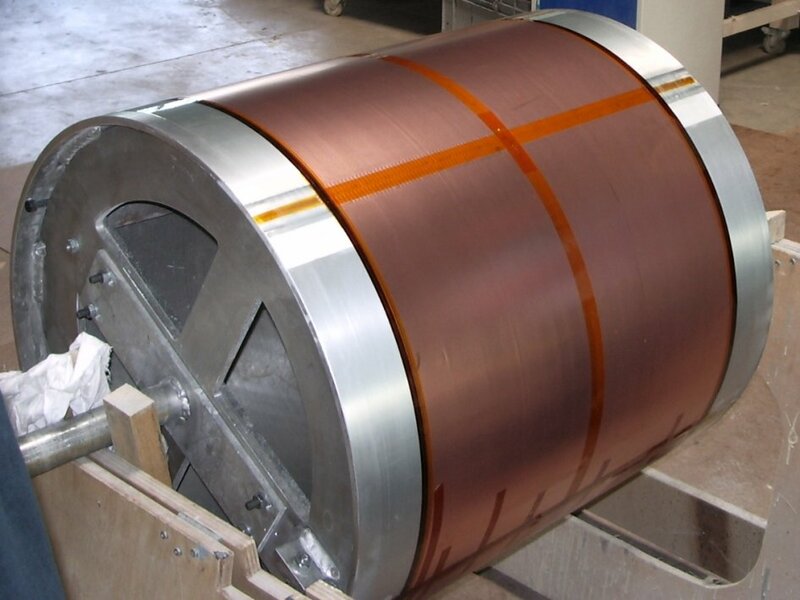 In the LP development phase of the LP, sample pieces of the wall have been used for mechanical and electric tests. 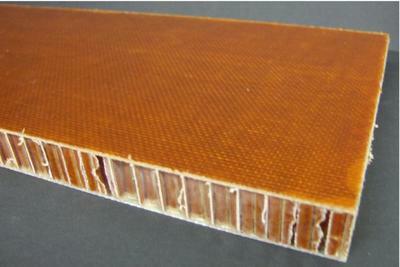 Over expanded honeycomb has been used for the construction of the LP wall. The modified cell structure of the honeycomb increases the flexibility of the material perpendicular to the direction of the the expansion. 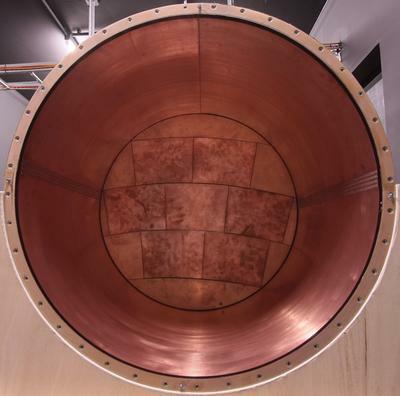 This allows for the construction of round structures. 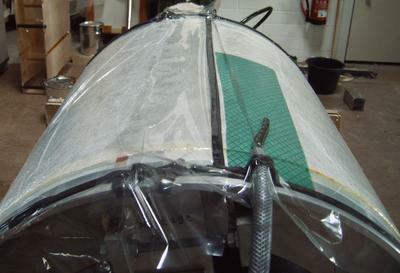 Figure 6: Mandrel assembled with field strip board. 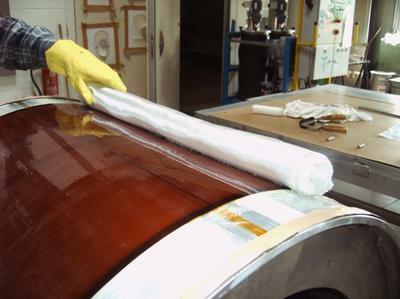 Figure 7: Lamination of the inner GRP layer. 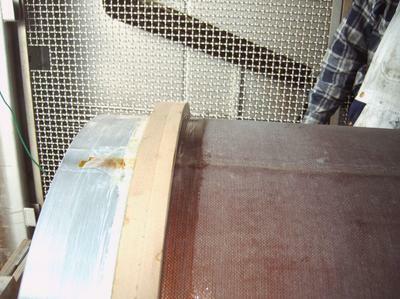 Figure 9: Application of the hard foam end flanges. Construction of the field cage: The layers of the field cage wall produced on a forming tool. This mandrel is 75 cm long with a diameter of 72 cm and was specially prepared for to fit to the reproduced field strip board. After-wards the layer sequence of the wall was laminated onto the field strip foil - including the hard foam end flanges. 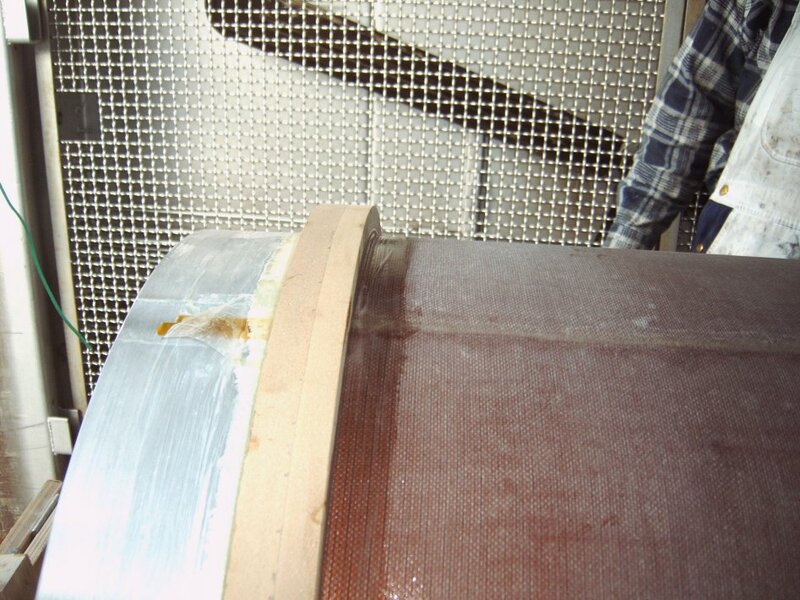 When the field cage was finished, the end faces were machined over and the diameter of the mandrel reduced by a few millimeters to take of the finished TPC barrel. Figure 10: Cross-section of the wall at the end of the field cage. 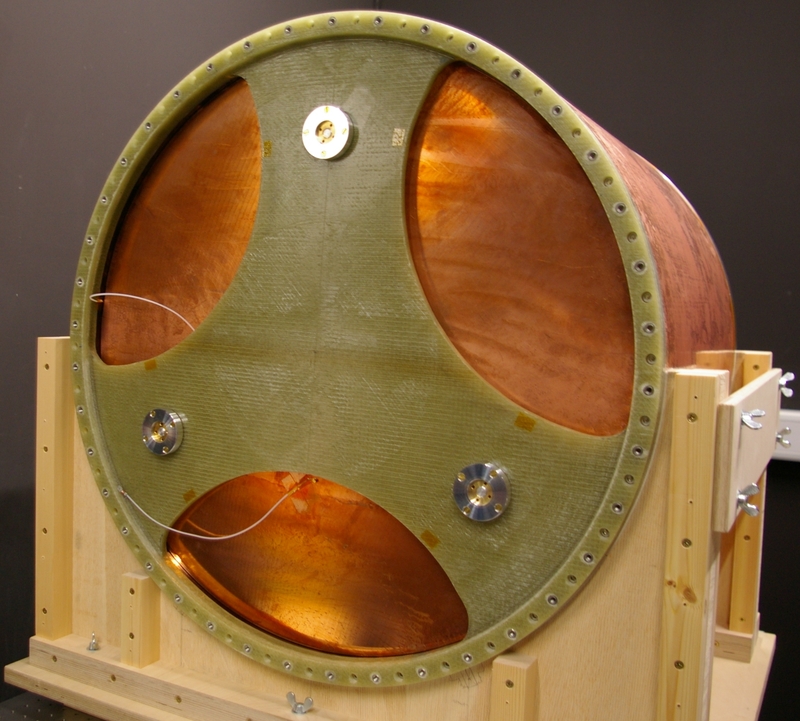 Figure 11: The large prototype field cage. Figure 12: Field cage with mounted cathode.